Later, in the 1990s, when Hungary took a course to join the EU and NATO, the army began supplying boots, approaching the standard of North Atlantic Alliance. 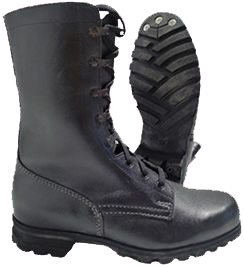 As an example, the improved version of M75 black boots feature the padded "collar" on the boot's top and speed-lacing system with "MARK" eyelets, just the same as on the boots of Germany, the Netherlands, Denmark or Great Britain. 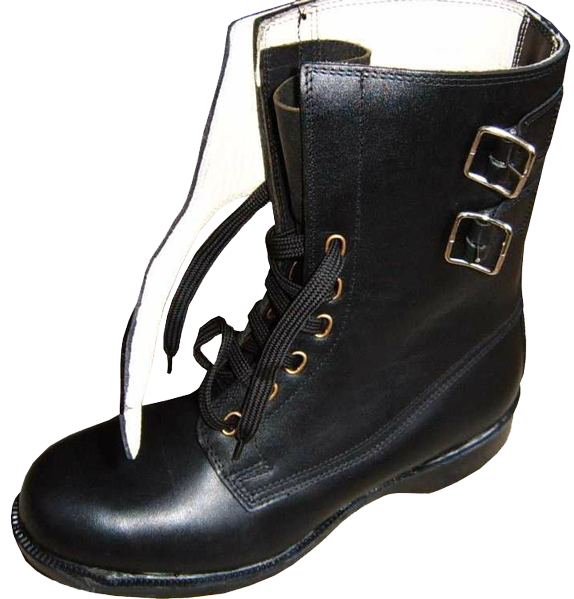 The lacing system consists of 2 pairs of simple round eyelets in the lower part of the lacing, then 2+3 speed lacing eyelets in the upper part of the lacing. The tongue is stitched to the top. 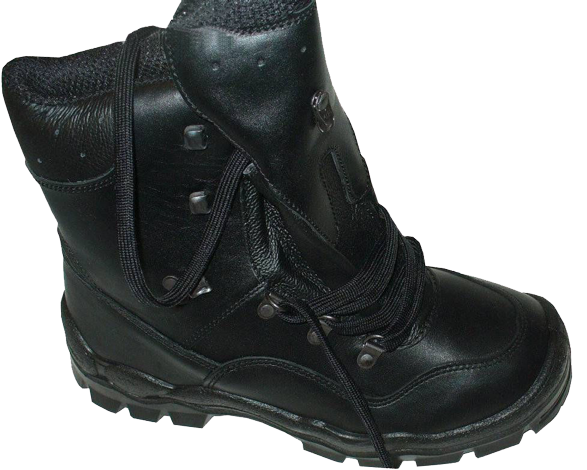 The new design of the boots includes both new elements like padded "collar" on the top, and outdated features such as warm but heavyweight beaver lamb insulation inside the boots. Since the beginning of the new millennium, the Hungarian Armed Forces are trying to keep up with global trends, one of which is the transition from full-leather boots to the composite materials (Cordura-type textiles and leather) footwear. 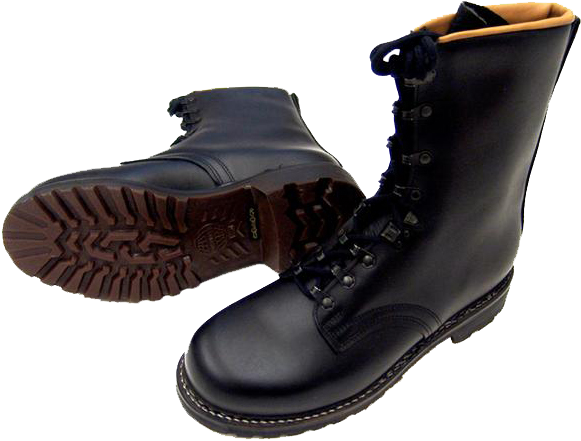 which has developed Hungarian M10 model boots of the year 2010. 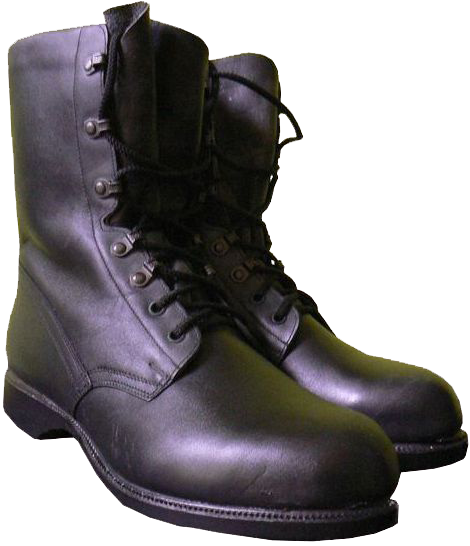 The design of these boots clearly shows some influence of "HAIX" and other companies, which have developed military footwear for the German Bundeswehr, namely "Modell 2000" and "Modell 2005/2007" boots. 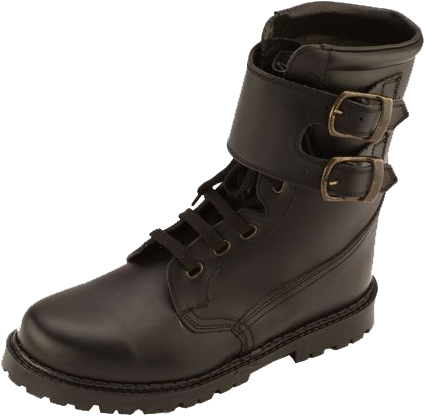 Judging by the bar code on the shown box, the shown pair of boots was made by order on one of the factories of China. 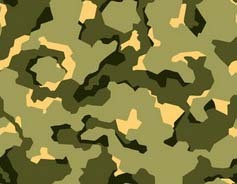 Ordering military apparel, footwear and equipment on the manufacturing sites in the South-East Asia is also one of the main trends for the armies of the countries, limited in their military budgets. 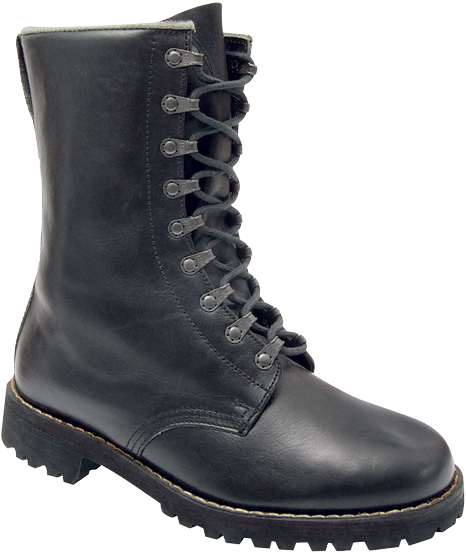 In 1990, the Czechoslovakian Armed Forces introduced a new model of boots, M90. 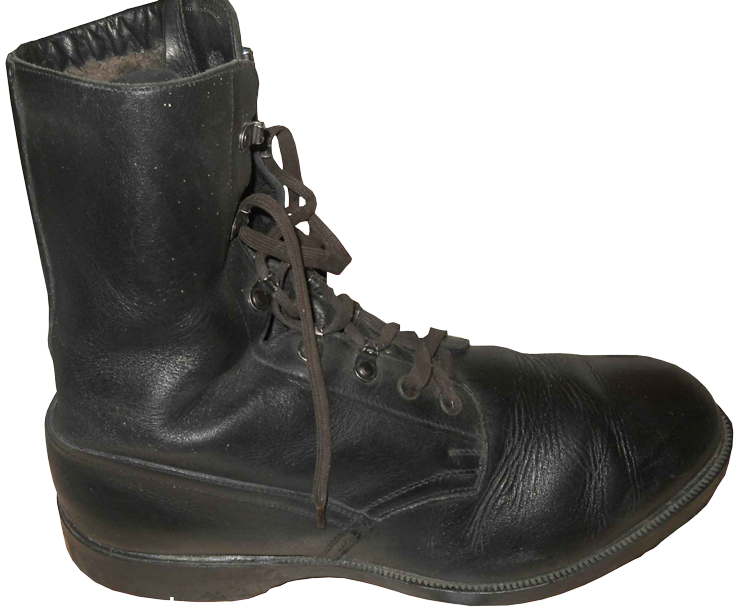 These boots featured no buckles, the tread pattern of the out-soles was also modified, and their appearance become more similar to the Bundeswehr boots. Five pairs of speed-lacing eyelets were added to the lacing system, while the lower three pairs of simple round eyelets remained unchangeable. 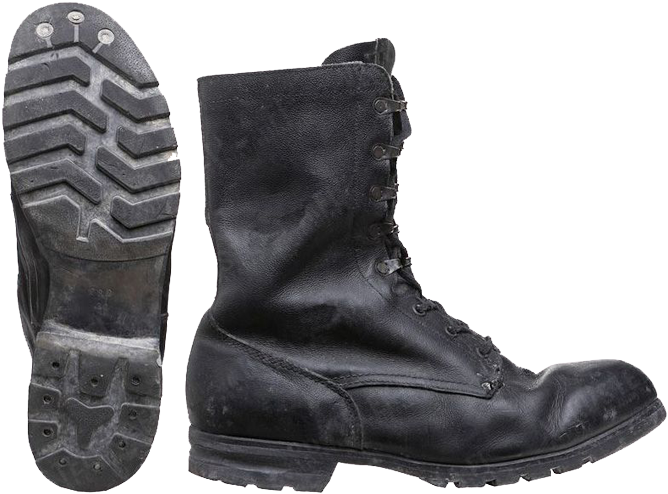 Perhaps, from an aesthetic point of view the boots became less attractive, but the simplicity of speed lacing and ease of use are more important for the military footwear. but with the standard "Vibram" out-soles, not the traditional "Berghaken Profilsohlen" out-sole.